Lirik Lagu "Zoo" dari Red Velvet. 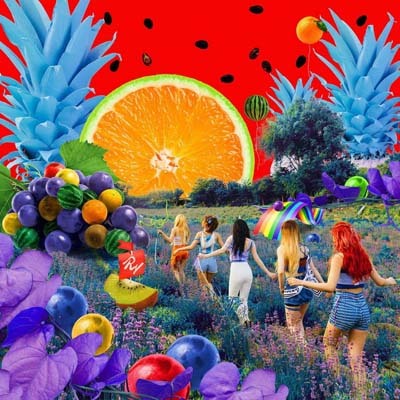 Lagu ini ada di Album: The Red Summer 5th Mini Album yang didistribusikan oleh label S.M. Entertainment. Berikut cuplikan teks lagunya " Ooh Ho- nun-eul tteossneunde ontong isanghae daeche museun il-iya…". “Zoo” is a track recorded by South Korean girl group Red Velvet (레드벨벳). It was released on July 09, 2017 by S.M. Entertainment. I opened my eyes and it’s all weird. I fell off the sky. Standing on two feet in a dreamlike jungle. Bring me into a miracle world. I am curious and I dance cute. I do not even hide it. If I stretch out my hand, the whole world seems mine. If you dip your feet, the water will rise and your heart will go up. I hope you do not break if you are a dream. Disclaimer : Blog ini tidak menyediakan link Download lagu Red Velvet – Zoo mp3. All song lyrics on this website is copyright / property of the authors, artists, bands and music labels are concerned. all materials contained in this site including the lyrics of the song are for promotional and evaluation purposes only.